The Board for Certification of Genealogists (BCG) is a nonprofit organization founded in 1964 as a professional credentialing body for genealogists. Since 1964, BCG has set the standards for competence and ethics in genealogical research through certification, lectures, and publications. In 2018, the Board announced a new award, the "Donn Devine Award for Extraordinary Service", named after 1946 Archmere graduate Donn Devine. The Donn Devine Award for Extraordinary Service to the Board for Certification of Genealogists recognizes that the foundation of any great organization is rooted in service; it is the nurturing force which fuels all growth. The essential criterion is extraordinary service to the Board. The award itself is named in honor of a man whose extraordinary service to BCG truly exemplifies those whose activities may be honored by the award in years to come. 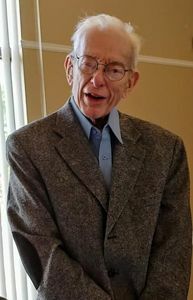 A New Jersey native and Delaware resident, Donn Devine, JD, CG® Emeritus, FNGS, first became a board-certified genealogist in 1987—a credential he last renewed at the age of 88. His extraordinary service to the Board for Certification of Genealogists spanned more than a quarter century, first as a trustee and later as its general counsel. In his four-decade genealogical career, he served the broader genealogical community as a society leader and through research, lecturing, and scholarly publications. His work earned him recognition as a Fellow of the National Genealogical Society (2013), honorary lifetime membership in the Association of Professional Genealogists (2014) and, in 2018, election to Certified Genealogist Emeritus status. A renaissance man, Donn has been a chemist, an urban planner, a lawyer, a National Guardsman rising in rank from private to brigadier general, an archivist and, perhaps most importantly, a husband and father. To BCG, he will always be a cherished colleague. The first receipient(s) of the award will be announced in May of 2019.